While 2014 wasn’t exactly a banner year for the genre, there were a select few horror films that rose above the fray and proved themselves to be something truly special and unique. While we’ll be recapping the best horror of 2014 shortly, first we’re going to look ahead to 2015 and discuss some of the horror titles that we’re anticipating will find some form of release over the course of the next 12 months. Among them are a remake of a horror classic, some intriguing indie horror with unique concepts, and the return of a much-beloved filmmaker to the genre that launched his very career. 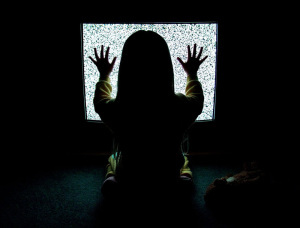 These are the horror films we here at Morbidly Amusing are most looking forward to in 2015. Centering on a group of medical students who discover a way to bring their dead patients back to life, The Lazarus Effect doesn’t just sport that intriguing premise, but an incredibly appealing cast to boot. The film stars Olivia Wilde, Mark Duplass, Evan Peters, and Donald Glover and is helmed by the talented David Gelb, director of the critically-acclaimed documentary Jiro Dreams of Sushi. We won’t have to wait long for this one either, as it’s currently set for release on February 27th. Here’s hoping a trailer will be dropping shortly. 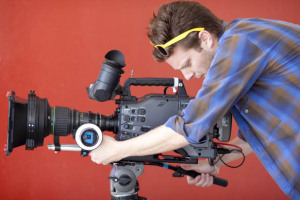 Shortly after premiering at this past September’s Toronto International Film Festival, the first trailer was unveiled for Spring and I was instantly fascinated. Starring Lou Taylor Pucci, or as I like to call him “King of the Indies”, as an American who travels to Italy on a whim only to fall in love with a woman who may not exactly be who she says she is, Spring doesn’t exactly have an incredibly original premise, but it does have something a lot of low-budget horror doesn’t: interesting visuals. While it doesn’t yet have a release date, I’m sure Spring will at least be getting a VOD release of some form in 2015. Not much is known about the latest entry in the Friday the 13th series. Is it a sequel to the 2009 film? No. A remake of the original? No. Is it shot in the found footage style? Maybe. 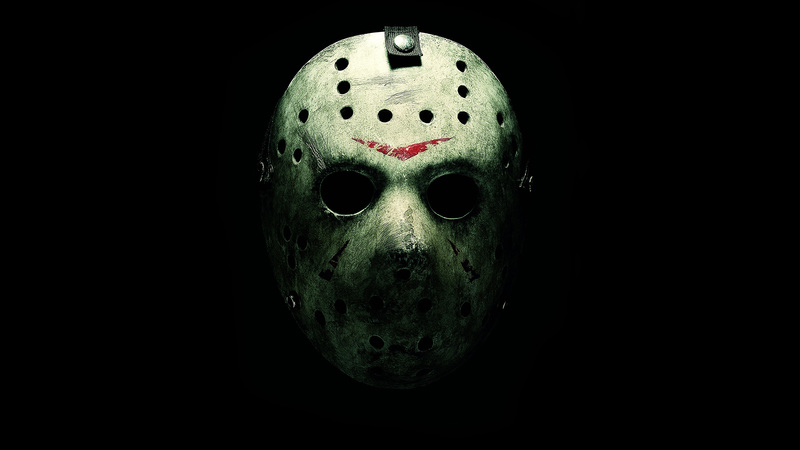 What we do know about the film is that it will be produced by Platinum Dunes and is rumored to take place in the 1980s and to involve Mrs. Voorhees’ herself. While it was originally scheduled for a March release, the film was recently pushed back to November 13th. Our fingers are crossed that the latest film featuring everyone’s favorite hockey-mask-wearing psychopath turns out to be worthwhile, but we certainly wouldn’t be shocked if this is yet another failed attempt to revive a popular 80s slasher series. From the man who brought us A Very Harold & Kumar 3D Christmas comes a horror film about one of the most well-worn tropes of the genre: the Final Girl. Strauss-Schulson’s The Final Girls is a high-concept horror film that centers on a young woman who in the midst of grieving her dearly-departed mother, a former scream queen, is sucked into the world of her mom’s most popular horror movie and teams up with her to fight off the film’s killer. If that concept alone doesn’t hook you, I honestly don’t know what will. We’ll find out if The Final Girls can deliver on its interesting premise when it hits theaters sometime in 2015. While there have been many adaptations of my all-time favorite novel throughout the years, perhaps none have come with as fascinating a twist as Paul McGuigan’s latest interpretation, Victor Frankenstein. 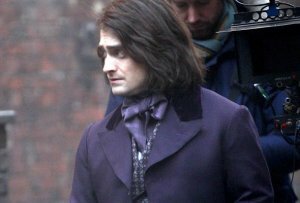 Set to be told from the perspective of Dr. Frankenstein’s trusty assistant Igor, played by Daniel Radcliffe, James McAvoy fills the shoes of Dr. Frankenstein himself while Jessica Brown Findlay rounds out the cast as potential love interest Lorelei. While McGuigan has never really succeeded as a feature film director to date, my hopes for the film lie with its fantastic cast and its script, written by the on-the-rise Max Landis (Chronicle). Victor Frankenstein is currently set for release on October 2nd. Originally making an appearance on our most anticipated horror films of 2014 list, Gil Kenan’s remake of the 1982 classic Poltergeist has been in development for quite sometime. Well, it’s finally hitting theaters this summer and we’ll find out whether this is just another in a long line of unsuccessful horror remakes. However, there is cause for some hope at least. The film stars Sam Rockwell, Rosemarie DeWitt and Jared Harris, three fantastic actors who immediately bring a sense of legitimacy to the film. While not much else is known about the film at this time, I’m sure we’ll be getting a trailer soon enough as its July 24th release date approaches. 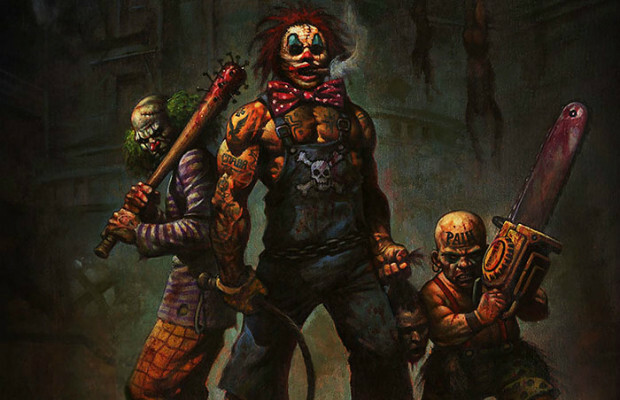 Rob Zombie is back, and this time he’s bringing a gang of evil clowns with him. 31, a horror project Zombie crowd-funded through the website Fanbacked, tells the story of a group of people who are kidnapped in the days leading up to Halloween and taken to a place called Murder World. While there, they must play a game called 31 where the goal is to survive a 12 hour stint amongst a gang of evil clowns. As a fan of most of Rob Zombie’s directorial efforts, I’m definitely looking forward to this one, although it definitely sounds more shlocky than most of his other recent work. Regardless, we’ll be seeing 31 when its released on an undefined date later this year. Michael Dougherty’s 2007 horror anthology Trick ‘r Treat is one of the best Halloween-themed films out there, and now he’s decided to take on another holiday. 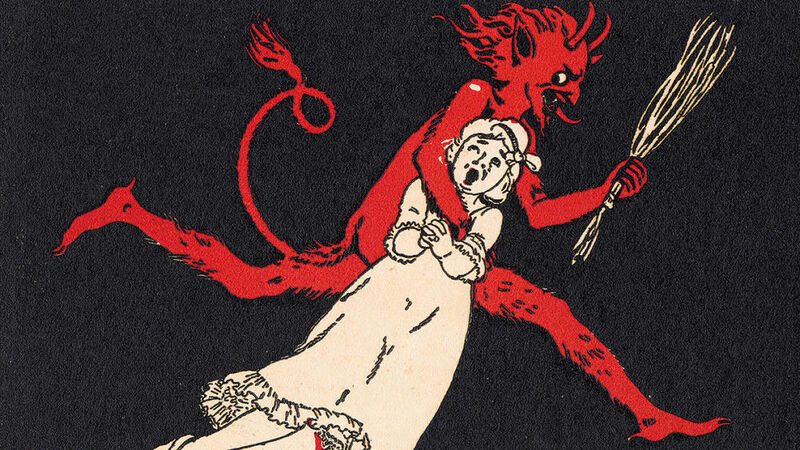 Krampus tells the tale of the legendary titular Christmas demon who sets out to punish all those who were naughty during the holiday season. Currently set for release December 4th, Krampus is set to star Allison Tolman, a fantastic actress who broke out in a big way this past year with her performance in FX’s Fargo. I’m sure Trick ‘r Treat, Thankskilling, and Krampus will make a hell of a holiday triple-feature someday. It’s been awhile since Guillermo del Toro has truly been a part of the film genre that kickstarted his filmmaking career. While Pan’s Labyrinth certainly had horror elements and TV’s The Strain certainly fits the bill, you’d have to go all the way back to 2001’s fantastic The Devil’s Backbone to find a feature-length horror film that was directed by Guillermo himself. 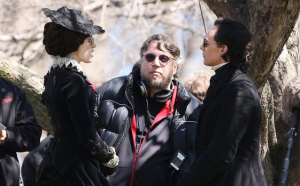 His latest endeavor, Crimson Peak, marks his return to the genre, and what a juicy prospect it is. Leading an absolutely fantastic cast is Jessica Chastain, who is joined by Tom Hiddleston, Charlie Hunnam and Mia Wasikowska. The film is a gothic horror romance that centers on “an aspiring author [who] is torn between love for her childhood friend and the temptation of a mysterious outsider. Trying to escape the ghosts of her past, she is swept away to a house that breathes, bleeds…and remembers.” Crimson Peak is currently set to be released stateside October 16th and if it isn’t one of the best horror films of the year, I’ll be shocked. My most anticipated horror film of the year is probably not a film that a lot of mainstream audiences are going to be aware of, but if the early reviews and trailers are any indication, It Follows is going to prove to be one of the best horror films in recent memory. 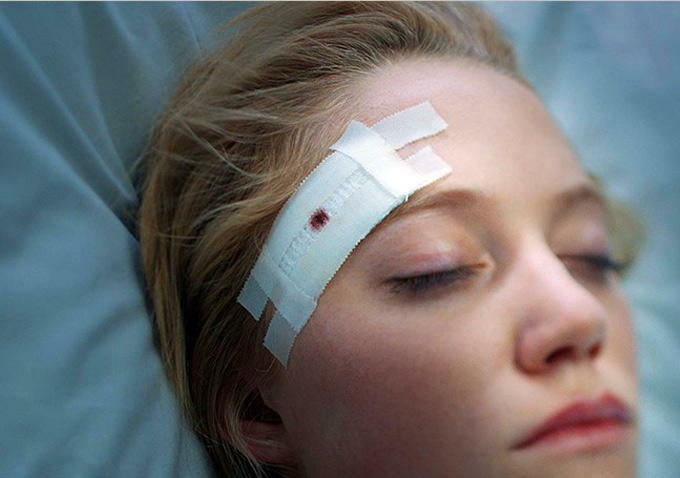 The film is about 19-year-old Jay who, after a seemingly innocent sexual encounter, “finds herself plagued by strange visions and the inescapable sense that someone, or something, is following her.” It Follows will play Sundance this month before an expected release some time in March. Don’t believe the hype? Check out this haunting trailer below. Feel like we missed anything? Sound off in the comments below and prepare yourself for what will hopefully be a great year for the horror film. Bring on 2015!